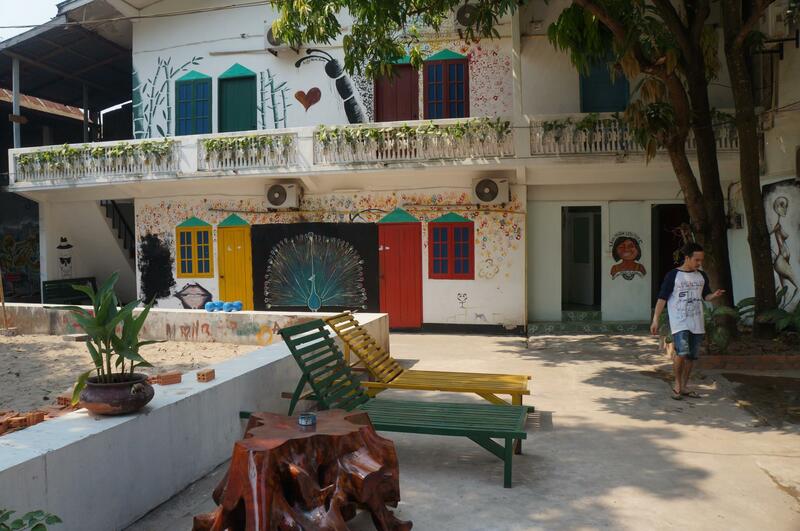 Of u nu een toerist bent of een zakelijke reiziger, Backpackers Garden Hostel is een uitstekende accommodatie tijdens een bezoek aan Vientiane. Het hotel ligt niet zo ver van het stadscentrum: de afstand is ongeveer 1.2 km en het duurt normaal ongeveer 10 minuten om het vliegveld te bereiken. Dankzij de praktische locatie liggen alle belangrijke trekpleisters in de buurt van het hotel. Het Backpackers Garden Hostel biedt een onberispelijke service en alle essentiële voorzieningen om reizigers een plezierig verblijf te bieden. De topfaciliteiten van het hotel omvatten gratis wi-fi in alle kamers, taxi service, ticket service, 24-uur receptie, faciliteiten voor mindervaliden. 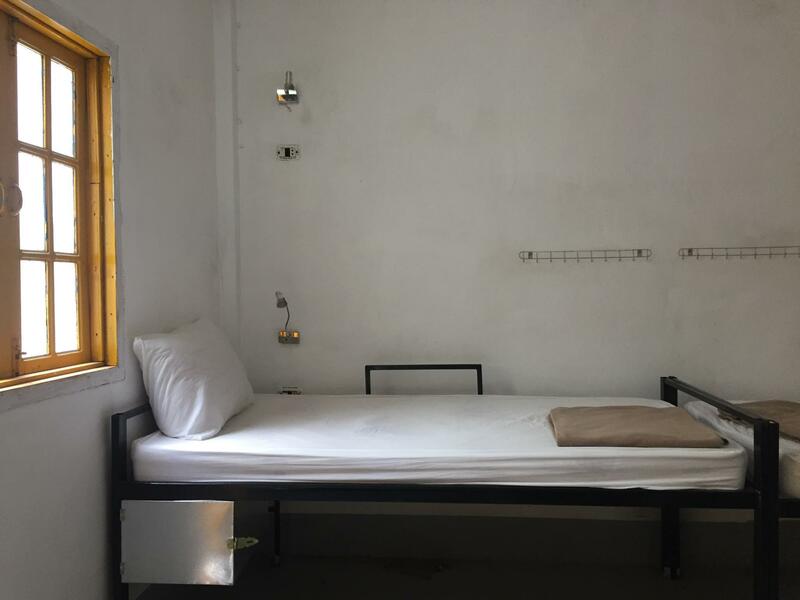 Het Backpackers Garden Hostel beschikt over 22 kamers, allemaal smaakvol ingericht voor optimaal comfort, met voorzieningen als extra toilet, vloerbedekking, gratis welkomstdrankje, spiegel, handdoeken. De complete lijst met recreatiemogelijkheden is beschikbaar in het hotel, inclusief solarium, tuin. Het Backpackers Garden Hostel is een uitgelezen keuze als u een kwaliteitsaccommodatie zoekt in Vientiane. Het was er erg gezellig met veel andere backpackers. Het enige nadeel was dat van het personeel er maar een paar echt goed Engels konden en dus er vaak voor specifiekere vragen erbij gehaald moesten worden. Een betonnen hok is je kamer. Je bed is ook van beton met een matras erop. Best hard dus. Verder staat er ook niets in. Personeel is vriendelijk en behulpzaam. Gezamenlijke douche en wc's worden goed schoon gehouden. 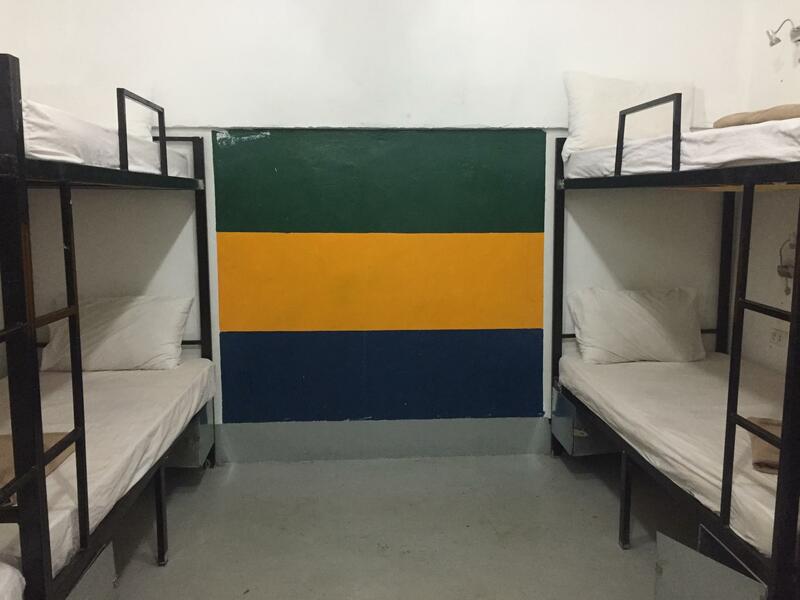 The rooms were cozy with comfortable beds and aircon. For breakfast there were several options, and the ones we tried have been tasty. The bathrooms has not been clean all the time, but this is what you have to expect in shared bathrooms. Staff was nice. This was my second time staying at this Hostel. Polite friendly staff in a good location with retaurants and shops around the corner. Great staff that takes care of all your needs and they even got up early to give me a ride to the Embassy for a new visa for a cheap price. Would definitely recomend this place to others and will return again on my next visit. It's a pretty decent place to stay. I've been in the female dorm aka. "The Queens Room" and everything was clean and you have your own power socket and a lamp. Air-conditioning works but is not very strong. 5-10 Minute walk into the city. The staff is friendly but the one woman can't speak any English (not her fault however a little bit annoying). For Breakfast there is a choice between different toast/jam/egg combinations and pancakes with jam. I would definitely stay here again, especially since the price is the best you can probably find here. We booked a single room but was given a 4-bed dorm all to ourselves. It felt like we were in jail with the cement flooring and rock hard beds. Neither of us had a good sleep the entire night. They had to showers and two toilets, both unisex. Quite uncomfortable really. Wouldn't recommend unless you're on a tight budget. Lots of social spaces which makes for a chilled atmosphere where it's easy to get talking to people. Big plus for a good, free breakfast! It's in walking distance of the night market and pretty much everywhere else, as Vientiane is quite small. The only downside was that our beds were really hard. This guest house is run by Vietnamese. They are helpful and friendly. 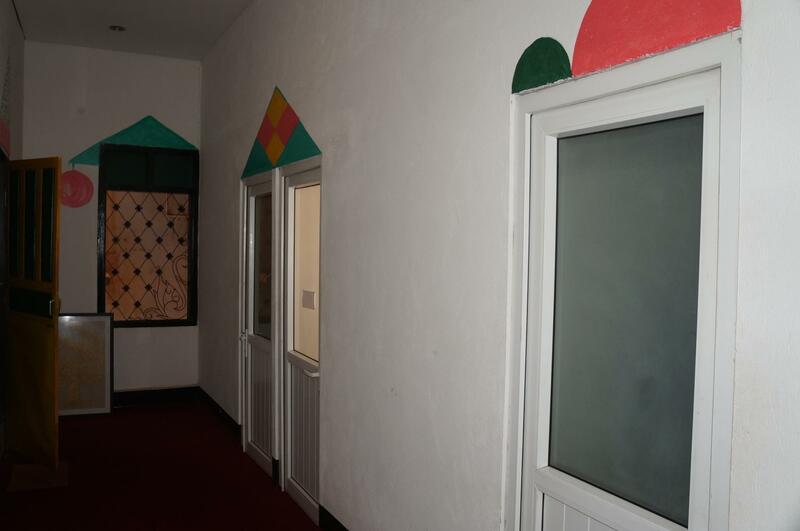 The room facility is quite normal and worth the cheap price. 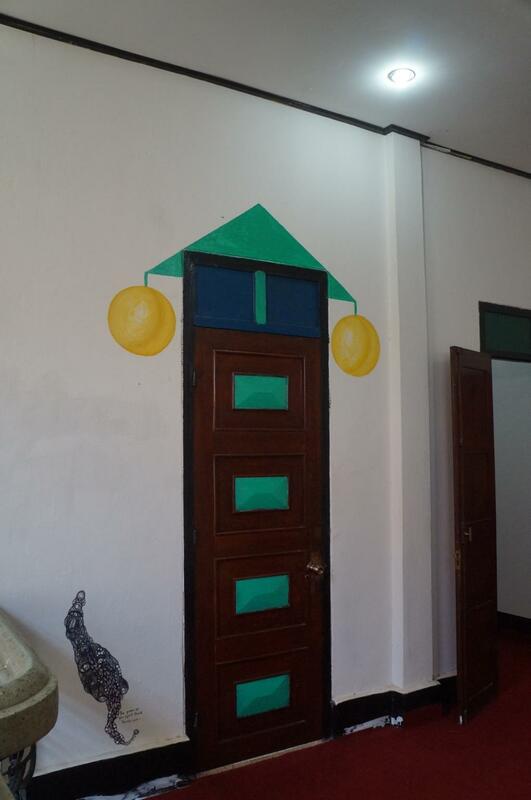 If your budget is tight and just need a place to stay in Vientiane, I recommend you this place. A very good place for a price. The staff is very helpful, friendly. The restaurants is good with a correct price. The area is quietly and clean. In the dormitory, you have light and "switch" for you. I am sur if I go back in Vientiane it will be my next adresse! I traveled with my 17years old daughter. The hostel located very convenient place and staffs are so so nice! What was a wonderful experience there is they allowed for art on wall,my daughter love the art and she left one. Thank you for giving us such good experience. The room has only a bed,shower was great with hot water. If you're type of "city traveler" it wouldn't for your accommodation. But if you're true Backpakkers,the place is highly recommend! It was a breeze! The hostel staff just takes really good care of you. From the duration of your stay, how to go around the areas in Vientiane and even help with your travel bookings. I couldn't be more happier. I had a nice stay at this hostel, the rooms were very clean and comfortable. Watch out with tuk tuk drivers that take you to another hostel with the same name (Sihome Backpackers Hostel), they are far away around 5 minutes walking. Staff was really helpful and they could arrange bus ticket for me to Luang Prabang for 180.000 kip with pick up. Very friendly and helpful staff. We just had a problem with our agoda booking. We amended it from 2 nights to 1 night but it registered canceled ao we had to pay again. Booked a standard double room with private bathroom. Got eaten alive by Mosquitos as there were big gaps around the door (when I checked, other rooms had the same). The bed was rock hard and uncomfortable. Could have been cleaner -dead mosquitos squished over the walls where previous guests had clearly had the same problem as us. We didn't have breakfast included so cannot comment on that. There seems to be a social area outside. Wouldn't recommend staying here. Had a good outdoor sitting area. Rooms too small. Bathrooms not too clean. Booked tickets to 4000 islands from them. The staff did not know any details about the journey. The travel agency was called DK Travels. Their overnight bus was old and very uncomfortable . The driver of connecting bus to Ban Nakasang kept stopping for hours on the way and we reached by 12 noon instead of 10am as stated by the travel agency!